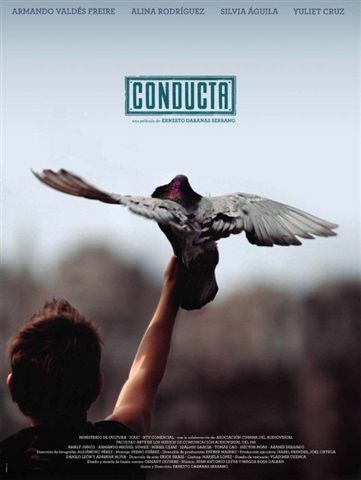 The Cuban film Conducta (Behavior) by Ernesto Daranas won the Best Film Award at the 15th Havana Film Festival of New York, in which Cuban and Mexican productions received the most prizes. The movie, which tells the story of 11- year-old Chala, was a hit at the Directors Guild Theater of Manhattan, where actress Alina Rodríguez received the best actress award for her role as Professor Carmela. Cuba’s Carlos Lechuga also took home the best script writer prize for the film Melaza (Molasses) from 2012, while Reynaldo Miravalles won the prize as best actor in the movie Esther en alguna parte (Esther somewhere) from 2913. For nine days the Havana Film Festival of New York screened 45 movies from a dozen Latin American countries in movies theaters from Manhattan, Queens and the Bronx, three of the five New York boroughs. At the event’s closing, festival promoter Carole Rosenberg said that the event was an opportunity to keep open the bridges between Cuba and the United States.